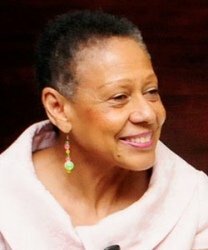 First African American female to serve as United States Executive Director of the African Development Bank (ADB), a position holding ambassador rank. She was appointed by President Clinton with unanimous Senate confirmation (1994 - 2000). She became the first woman to serve on the 18 member Board of Directors. First African American woman Vice President of the Middle East and African Division at Irving Trust Company, a major New York money center bank.